Back in 2003, three couples took what they thought was a wine tasting class at the community college put on by the late Stan Clark. It turned out to be a wine making class and the three couples really got into it. They surprised themselves on the quality of wine they were capable of producing and soon they started making wine out of their garage. Their prime focus was creating the best Bordeaux-style blend they could. Giving away wine to their friends became expensive, so the three couples decided to go commercial and actually charge people for their bottles. 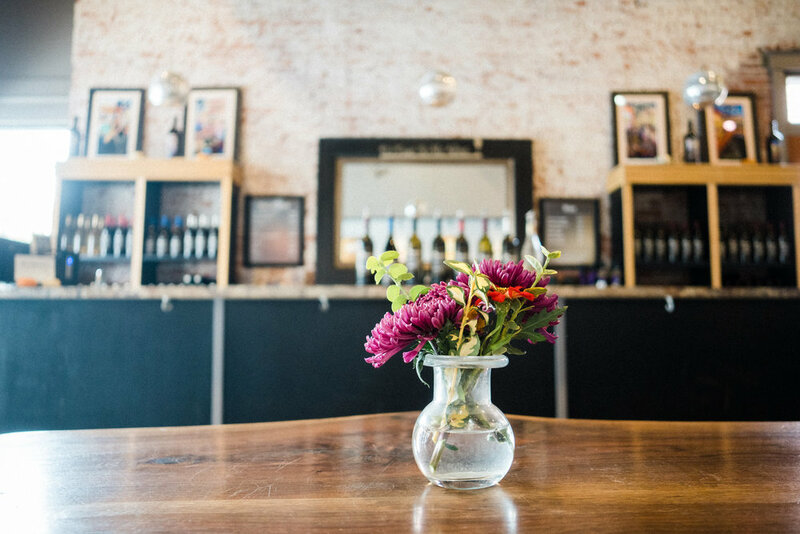 By 2006, the couples had invested in an estate vineyard and a downtown tasting room. Because “plumb” was said about 20 times a day (in reference to the plumb bob) while constructing the vineyard – the couples decided to call themselves Plumb Cellars. So if you call yourselves Plumb Cellars, you better have a “Damn Straight” wine. Damn Straight became the name of their flagship, award winning, Bordeaux-style blend. "Damn straight. It's a fine wine."